"We're Building Our Sight Word Vocabulary"
What are Fry Instant Words? These high frequency words should be recognized instantly by readers. Dr. Edward B. Fry's Instant Words (which are often referred to as the "Fry Words") are the most common words used in English ranked in order of frequency. Over half of every newspaper article, textbook, children's story, and novel is composed of these 300 words. 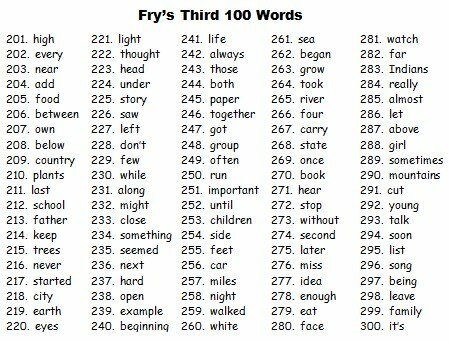 It is difficult to write a sentence without using several of the first 300 words in the Fry 1000 Instant Words List. Consequently, students need to be able to read the first 300 Instant Words without a moment's hesitation. 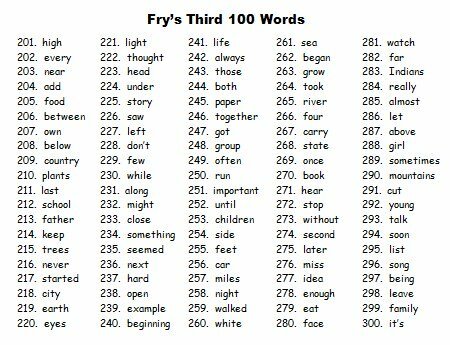 The Fry 1000 Instant Words have been arranged in the order of frequency in which they occur in printed material. A list of 100 Fry Picture Nouns were developed to supplement the Fry 1000 Instant Words. 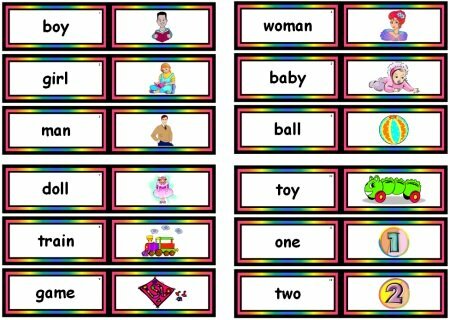 You will also find a download link for a free set of Fry's Picture Nouns Flashcards and word lists below. 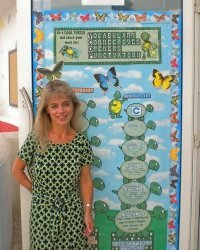 After Fry developed his word lists, he worked to inspire young children to memorize these sight words to jump-start the reading process. 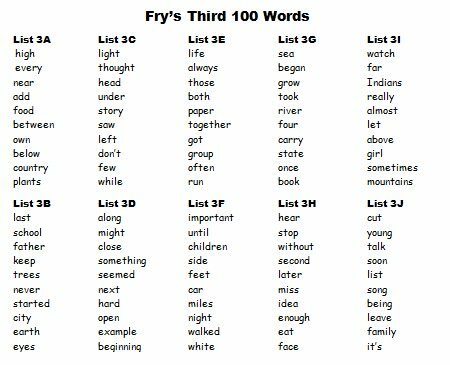 The Fry 1000 Instant Words and lists are widely used today and highly respected by both teachers and parents. Many of the Fry 1000 Instant Words are difficult to portray with pictures or hard to sound out through phonics methods. 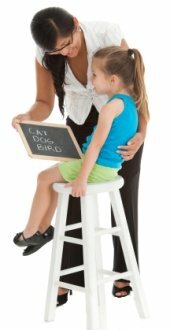 Therefore, these words must be learned as sight words and they must be quickly recognized in order to achieve reading fluency. The First 100 words should be mastered by Grade 1. The Second 100 Words should be mastered by Grade 2. 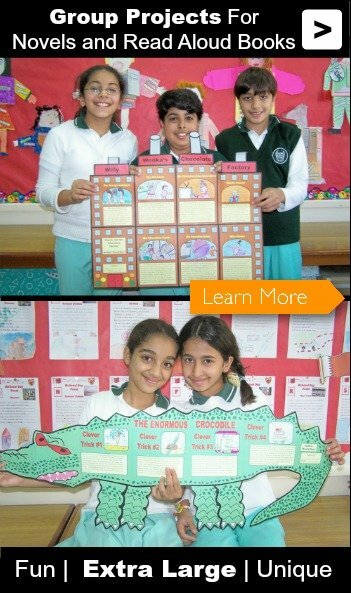 The Third 100 Words should be mastered by Grade 3. 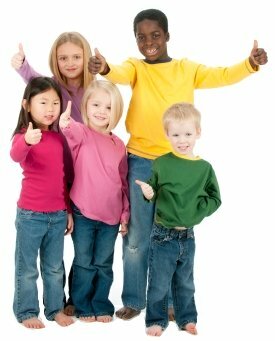 The remaining lists (words 301 - 1000) should be mastered in Grades 4 - 5. I have divided this list into ten groups of one-hundred words each. 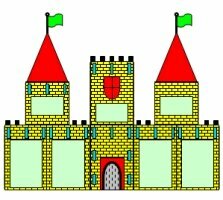 Below you will find free download links for these 10 sets of free Fry Flashcards and word lists. 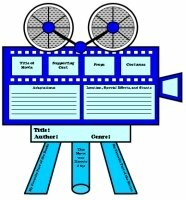 I have divided the Fry 1000 words into 10 sets of teaching resources. There is an 11th set of flashcards for Fry's 100 Picture Nouns. 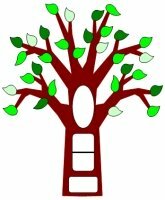 I have designed my flashcards so that the print is large and easily read, and so that the flashcards fit into traditional pocket charts. Each set of Fry 1000 Instant Words flashcards has a different color border around it. I have placed a small number in the top right hand corner of each flash card, indicating the order in which that word appears in Fry's list. 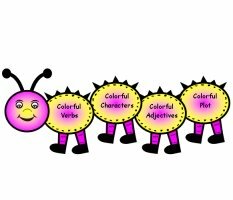 For the 100 Fry Nouns, I have included a colorful picture cue on each flashcard. 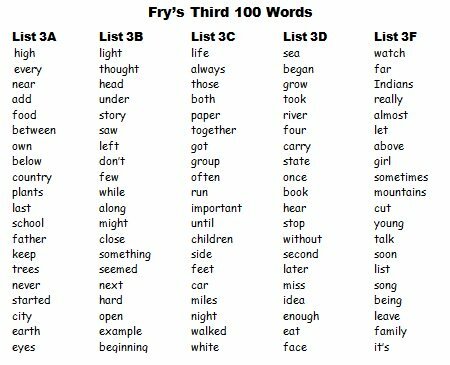 Below you will find lists of Fry's first 300 sight words. Do not bother copying these 3 lists. 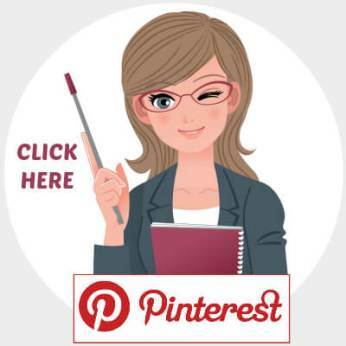 You can download free copies of these lists, plus 7 additional lists that are not shown (words 301 - 1000), using the free download links that are found above. 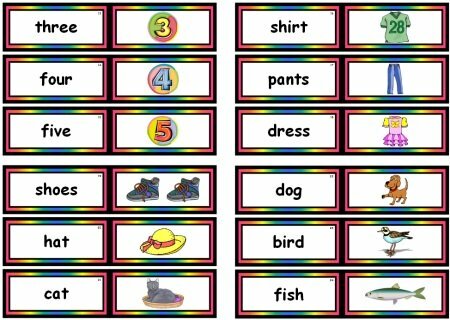 In addition to these 10 free lists of Fry's sight words, I have created 1,000 color coded flashcards for all of the Fry 1000 Instant Words. 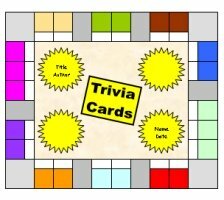 Elementary school teachers and parents can use the free download links that are found above to download free copies of 1,000 color coded flashcards for all of the Fry 1000 Instant Words! 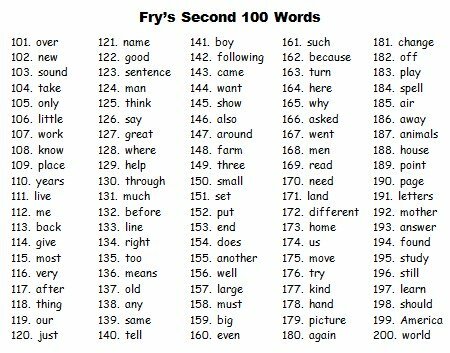 Fry 1000 Instant Words: Sight words 201 - 224 are shown. 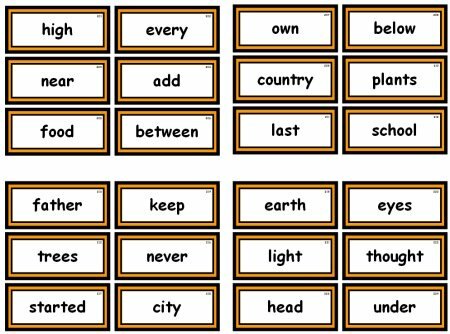 Fry 1000 Instant Words: Sight words 301 - 324 are shown. 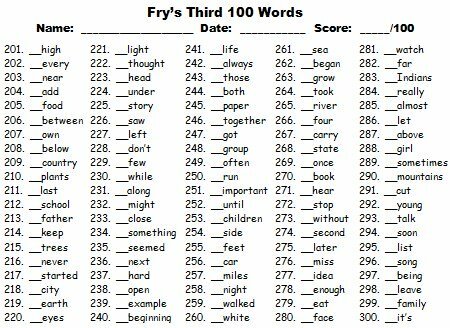 Fry 1000 Instant Words: Sight words 201 - 300 are shown. Fry 1000 Instant Words: Fry picture nouns 1 - 12 are shown. 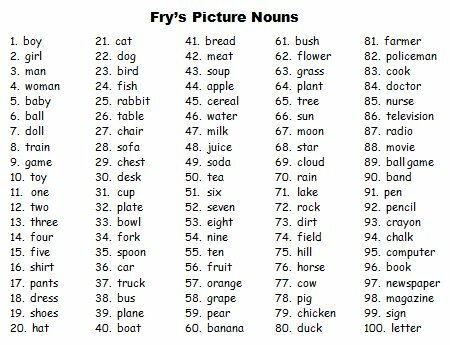 Fry picture nouns 13 - 24 are shown. 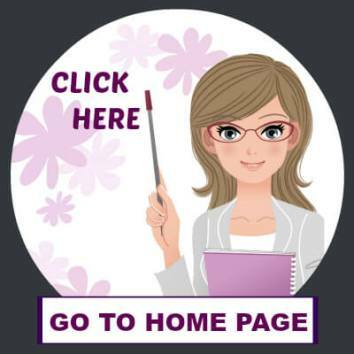 If you are using these free Fry 1000 Sight Words teaching resources with your students, please feel free to give your students' parents the address of this webpage (shown below) so that they can print flashcards for their child to practice with at home. 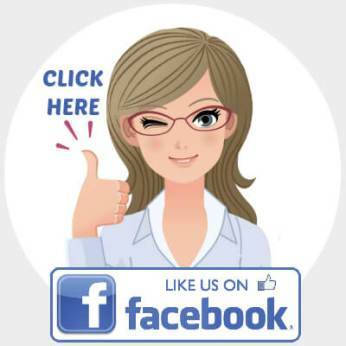 Are you looking for some fun reading activities? 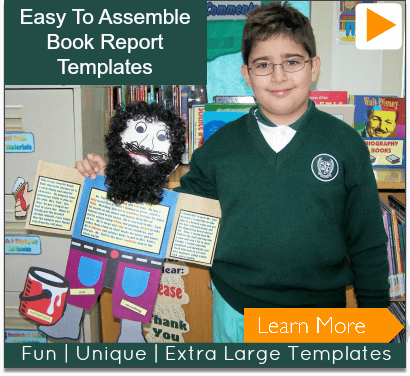 and extra large book report project templates. 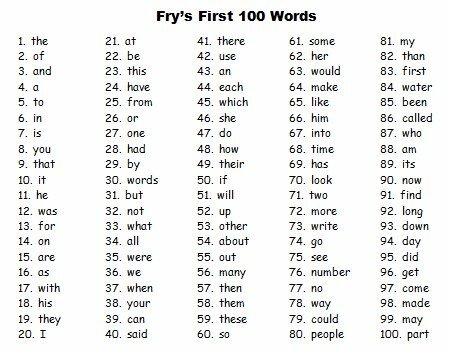 Learning to read the Fry 1000 Instant Words will certainly help pave the way for your students to become proficient readers. 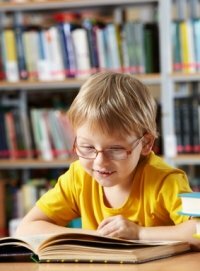 But, the #1 way for children to become successful readers is for them to love reading books! 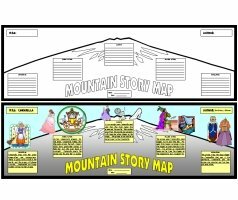 Do you use fun book report projects as a way to engage your students in reading and responding to literature? 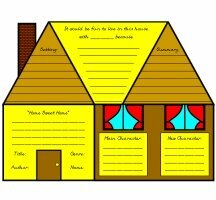 If you answered "no" to this question, then you have found the right place to find unique book report templates and projects! 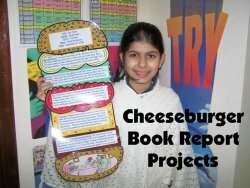 My students love completing the fun book report projects that I have designed. They are always eager to begin reading their next books so that they can start working on their next reading response projects. 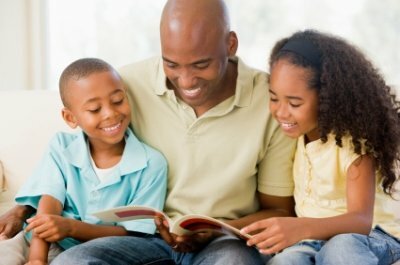 One of the best compliments that I hear each year from parents is that their son or daughter now enjoys reading books. 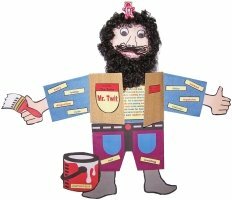 Many parents have shared with me that their child now has a love for literature due to the fun book report projects that he or she completed in my class during that school year. 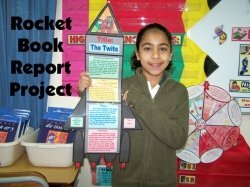 Your students will find these uniquely shaped book report projects fun and challenging to complete. 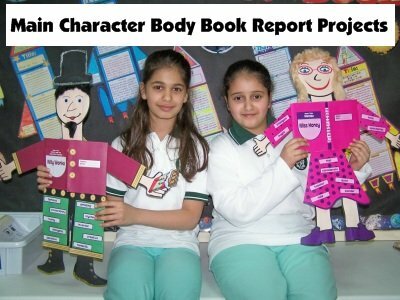 The writing responses are different for each book report set and are related to the project's shape and theme. 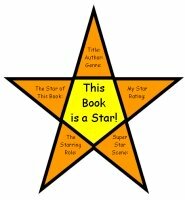 The book report projects that I have created come in a variety of different shapes, sizes, and themes. 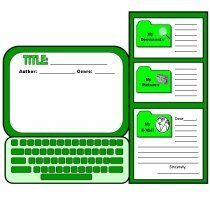 Below you will find examples of some of my uniquely shaped project templates. 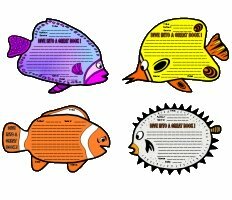 Do you use incentive and sticker charts as a way to positively reinforce your students as they are learning the Fry sight words? 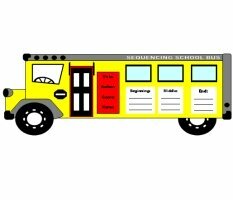 If you answered "no" to this question, then you have found the right place to find unique sticker charts to positively reinforce your students for learning the Fry 1000 instant words! 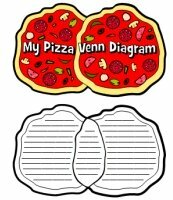 Below you will find examples of some of the uniquely shaped sticker charts that are available on Unique Teaching Resources. 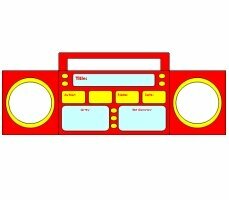 You will not find any plain rectangular shaped sticker charts on my website! 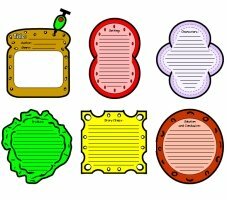 Many of these sticker charts would be ideal to use with mastering the Fry Words. 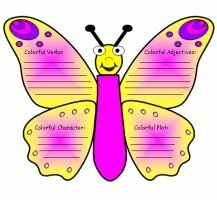 These colorful animal and holiday sticker charts will help you to create brilliant classroom bulletin board displays that will motivate your students to work hard and try their best. 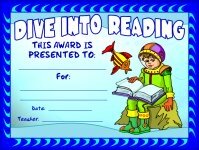 Are you looking for reading awards and certificates that you can use to positively reinforce your students for learning the Fry words? 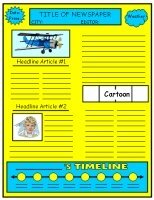 If you answered "yes" to this question, then you have found the right place to find unique reading certificates to positively reinforce your students for their achievements and improvement in learning to read the Fry 1000 instant words! 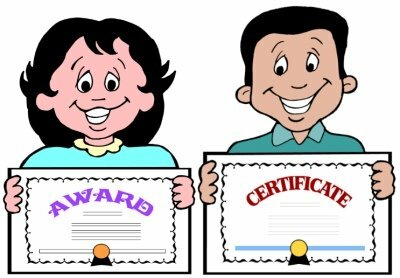 Below you will find two examples of reading awards and certificates that are available on Unique Teaching Resources. 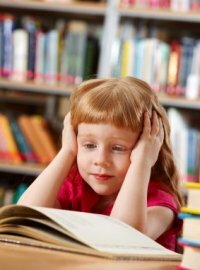 On my awards and certificates page, you will find many different reading awards, as well as awards for different curriculum areas as well. On the left, you will find a photograph of me outside of my classroom. 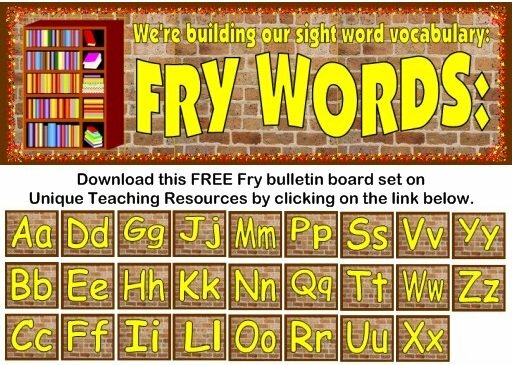 I hope that you have found these free Fry 1000 Instant Words teaching resources useful in helping your students to learn to read these high frequency sight words. I designed these flashcards for some of my own students who were not native English speakers that were experiencing difficulty in reading high frequency words with fluency. 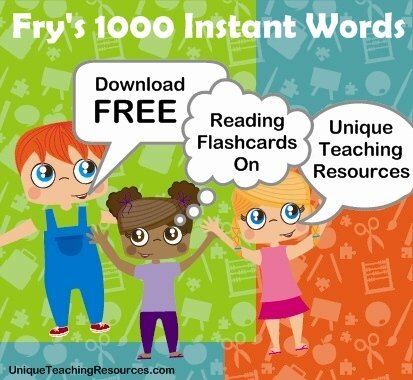 I wanted to share these Fry 1000 Instant Words resources with other teachers for free in hopes that the time that I spent developing these flashcards would be more beneficial by reaching even more children who were having difficulty in reading. 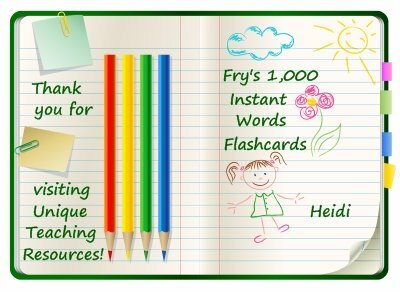 I received the following letter from a teacher who found that these free Fry flashcards helped a middle school student who was struggling with reading. Comment: Thank you so much for your website, and for providing free teaching resources (when so many sites are asking for $). You saved the day for a young bilingual 7th grader who is struggling to read. He looked at me and said, "If people would have just let me practice at my speed, I could get better at this", which broke my heart. His teachers have been looking for answers, but their prescriptive programs weren't working. When we handed our young man the Fry 1000 instant words on flashcards (THANKS! to your website), and he realized he would be able to read 65%+ of his textbooks once he had them mastered, his motivation was electric. Again, I can't thank you enough for having the flashcards ready to use and download. If I (we) had needed to create them, it could have been several days or weeks before he had them in his hands. 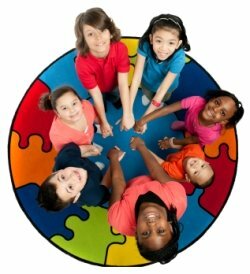 I am an instructional coach at several schools and have access to hundreds of teacher email accounts. As soon as I finish this note, they'll all be getting an email from me with your link. 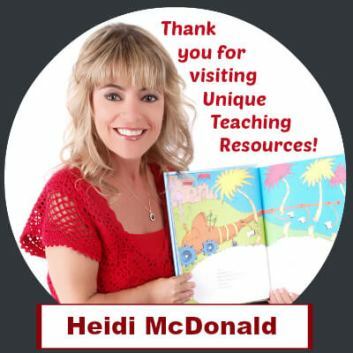 Thank you again for your marvelous website and caring about teachers and kids. 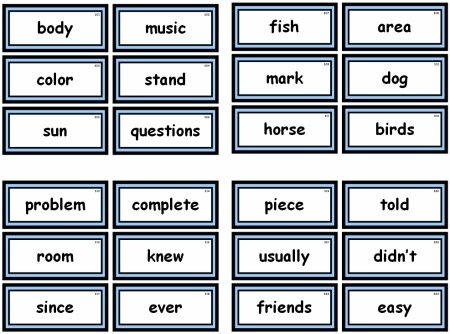 After children have mastered reading the Fry 1000 Instant Words at each level, it would be beneficial for them to learn how to spell these words, as they are also the most common words that students use in their own writing. The Dolch Sight Words are a list of the most frequently used words in the English language. These sight words make up 50 to 70 percent of any general text. The Dolch list was developed by Edward William Dolch, PhD. in 1948 and published in his book "Problems in Reading." 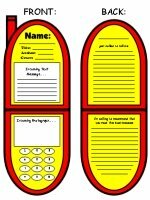 I have also created free teaching resources, word lists, and flashcards for Dolch's Sight Words for elementary school teachers to download for free to use with their students. Thank you for visiting this Fry 1000 Instant Words page.